[Updated June 11] China has begun transmitting signals on three frequencies from the Compass G3 satellite launched into geostationary orbit (GEO) on June 2. 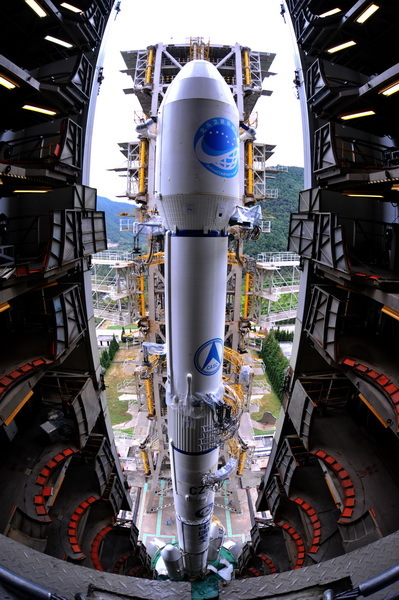 G3 is the third Compass (Beidou-2) GEO and the second such launch this year. The three GEOS and a a middle-earth-orbiting (MEO) spacecraft launched in 2007 comprise the constellations of China’s second-generation GNSS system now under development. 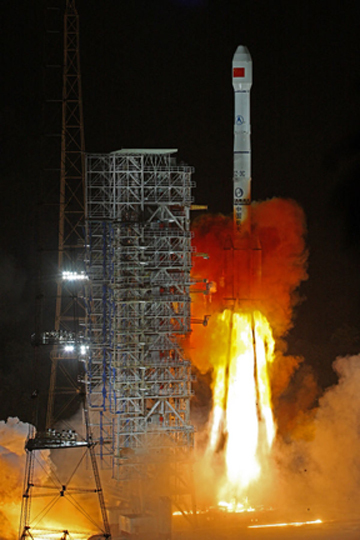 Chinese officials announced that the Compass G3 had reached its geostationary position at 84.6° E longitude on June 7. The German Aerospace Center (DLR) has been able to capture the first nominal navigation signals of Beidou G-3. profiles of the Compass G3 CPII signals, which can be downloaded here. 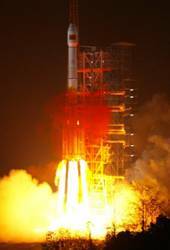 China hopes to have a regional satellite navigation system in place by 2012 to provide a regional service. Fourteen space vehicles (SVs) would comprise the regional constellation: five GEOs, four MEOs, and five inclined geosynchronous orbit (IGSO) satellites. The full GNSS constellation will include 27 MEOs, 3 IGSOs, and 5 GEOs. According to current plans, primarily Compass Phase II (CPII) signals will be used in the regional system, transmitting on three frequencies using quadrature phase shift keying (QPSK). (See accompanying figure.) 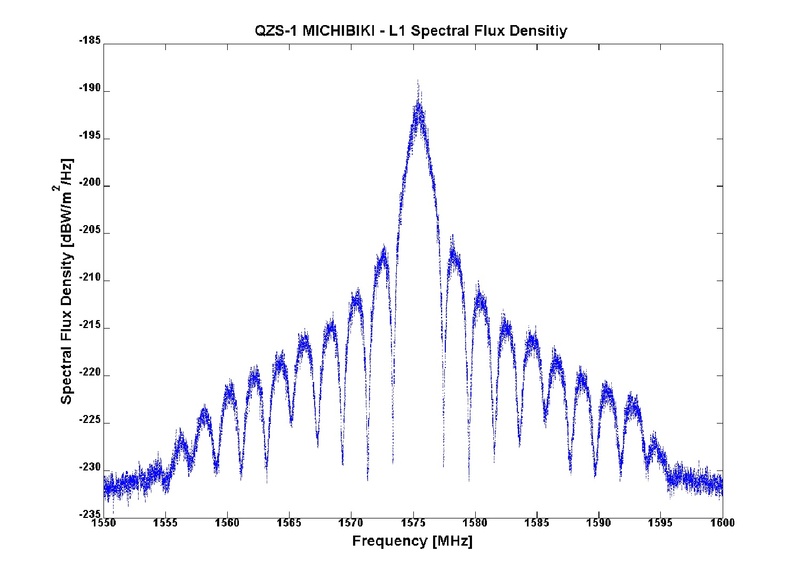 DLR has provided images of the CPII signals’ spectral flux density profiles, which will be posted on insidegnss.com soon. The full GNSS Compass system planned to be in place by 2020 would use mainly binary offset carrier (BOC) waveforms, with the signals moving on two of the frequencies during Compass Phase III: 1561.098 MHz shifting to 1575.42 MHz, where GPS and Galileo L1 signals are centered, and 1207.14 MHz moving to 1191.795 MHz. “Authorized” signals will be transmitted from 1268.52 MHz in both phases. The Beidou satellite was launched at 1553 GMT (11:53 a.m. EDT) carried aloft by a Long March 3C rocket from the Xichang space center (XSLC) in China’s Sichuan province.